The other day I was thinking about the special books I’ve read during my lifetime—and by special, I mean those I enjoyed enough to read multiple times. As a young girl, I loved the Nancy Drew and Hardy Boys stories and read them countless times during Wisconsin’s hot, humid summers. I also adored every book in the Black Stallion series by Walter Farley—a prized collection that still claims treasured shelf space in my office today. As an adult, my special list includes Ordinary People (Judith Guest), Colony and Outer Banks (Anne Rivers Siddons), Saint Maybe (Anne Tyler), Something Wicked This Way Comes (Ray Bradbury), Lost Boys (Orson Scott Card), Hearts in Atlantis and 11-22-63 (Stephen King). Okay, so I haven’t reread the latter yet; I know I will eventually, so it makes the list. What it is about the books on my adult list that lures me in for a second or third read? Without a doubt, the combination of great storytelling and memorable characters. Which brings me to the heart of this post: Jody and I are watching LOST all the way through for the third time. As unbelievable as it is, we continue to pick up clues, bits and pieces that make the LOST experience more engaging than ever. We are midway through season 3. 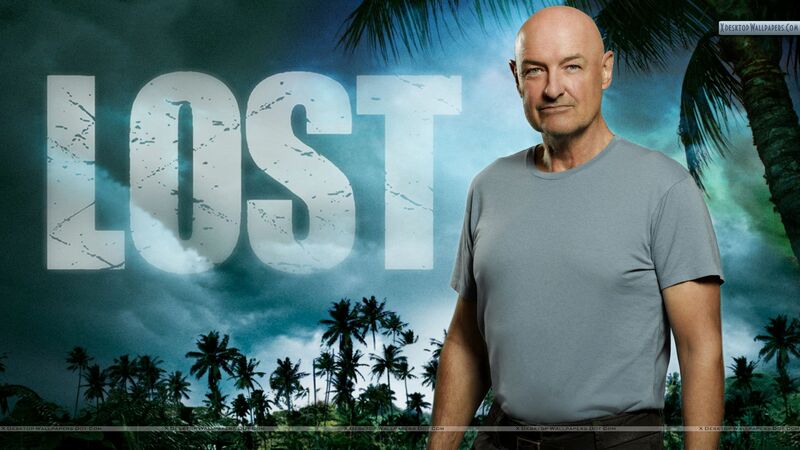 So far, we have debated the following: Was Locke taken over by the smoke monster during that first encounter in the jungle, way back in season one’s fourth episode (Walkabout)? Did the monster sense something about John’s character during that meeting that would make inhabiting him an easy task? The first time through, Locke was one of my favorite characters. I loved how he embraced the island as magical, how he believed in hope and destiny. But seeing him now, there are obvious clues he was being manipulated into thinking that way, in much the same way he allowed his father to control his life before the plane crash. I could detail at least half a dozen more scenarios we have been pondering, but here’s a suggestion: relive the magic that is LOST for yourself and make your own list of questions and possibilities. You’ll be glad you did. Today my husband and I had a visit from a relative, a wonderful guy, who had a DVD about making money without “really” working. We knew what he was going to show us, but you know, he’s family. So we said yes. The DVD was about a half hour long, presented by some top honcho in his thirties who is pretty witty though not as funny as Seinfeld. To make a long story short, it was an Amway presentation. The guy is the chief Amway fellow and a billionaire. After the viewing, my husband and I had to explain to our friend and relative why Amway is not for us. We don’t like to do sales pitches. We prefer more creative work. That doesn’t mean we think he is choosing the wrong path for himself. He implied that we were not following a logical path to get where we want to be. I kept answering, “I’m doing it: Writing. Making dolls. Illustrating.” And of course, my husband is following his passion for photography, gardening and music. I tried to explain to our visitor that it takes time and energy to sell my own books; why would I want to sell even the best laundry soap (Amway’s) in the world? He replied in so many words that I would make more money selling Amyway laundry soap than my own books. While we all need money, more of it is not what everyone really wants. There is more than one yardstick to measure success, and money should not be the only one. If money was truly the root of all happiness, rich people would not get divorced or commit suicide. That, in fact, was what the Amway presenter in the DVD admitted without realizing it. He said when he was a young, oblivious kid and making 1,500 a month, he was delighted. He lived with roommates and drove a “crummy” car and thought he had the world. Now, making about 15,000 dollars a month, he can’t meet all his bills because he spends so much. Of course he sidestepped admitting that the one who netted 15,000 a month was himself, because in truth, he probably makes more. 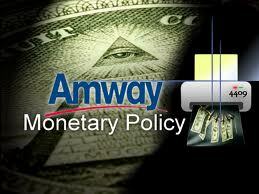 (The top earners at Amway depend on the little earners under them. I wonder how good that makes them feel?) What I noticed today, as I noticed 20 years ago when another friend talked to me about Amway, was that right after the pitch was made telling me how good all the products are and how our lives will be changed by earning money without working, we were asked to contemplate how rich the people on top of Amway are. Gee, how new is that? The people on top are always rich. Apparently, being suffused with jealousy is supposed to get me to sign on. I imagine that those flames are fanned in every seminar (or whatever Amway reps have). Maybe I don’t get the true message, or am satisfied with too little. I am not trying to knock it–I am happy for those Amway works for, those whose lives have been immeasurably enriched, perhaps with more than money. Does it make me less than logical to want to write books rather than sell products made by others?